As a business, we always look to the future, challenging ourselves to define the best way to make a positive impact across the rapidly changing energy industry. 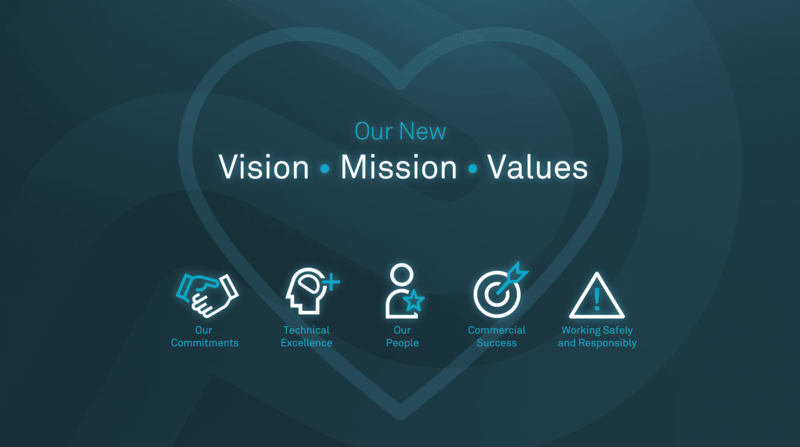 To guide us in this we’ve set out a clear vision, mission and values which we share across our organisation. To improve access to energy for the communities in which we work. We are dedicated and insightful people who design, maintain and optimise energy infrastructure. Working Safely and Responsibly – safety is our number one priority and we are committed to the goal of zero harm. We work as a team to take care of each other and ensure everyone goes home safely. We pursue success safely and responsibly, ensuring that we operate both sustainably and ethically. Our People – our people are our key assets. As a team of insightful people, we are dedicated to delivering value to our clients. We treat people as individuals by rewarding their successes, supporting their aspirations and empowering them to make a difference. Our Commitments – we deliver on our commitments to our clients and each other. By working together as ‘One Penspen’, we ensure high quality work, on time and within budget, every time. Technical Excellence – we value and cultivate our technical leadership in order to help our clients. We support each other by sharing knowledge across the business and the industry. Enabling critical knowledge to flow allows us to address our clients’ complex challenges. Commercial Success – we encourage profitable entrepreneurship and actively manage risk to drive sustainable and commercially successful growth of our business.